Customer acquisition and onboarding technology innovator Avoka has partnered with US-based Alpine Bank, reports David Penn at Finovate. The bank will use Avoka’s Transact platform to enhance its account opening, loan application and business onboarding processes. The solution will integrate with the bank’s back office platforms – including the Silverlake core banking system from Jack Henry & Associates – to provide “a thoroughly digital account-opening experience” for Alpine Bank’s customers, according to the vendor. The new account opening experience will include ID verification, funding, and immediate establishment of the account. And as an omnichannel solution, the technology enables users to begin an application on one channel (i.e. at home or office) and complete the application in another (i.e. in branch). “One of the reasons we chose Avoka is because we did not want the limitations of an off-the-shelf system that would limit our ability to fully serve customer needs and expectations,” explains Alpine’s chief digital officer, Andrew Karow. 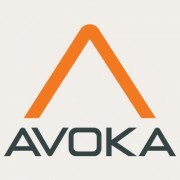 He adds that Avoka’s technology will enable the bank – with assets of more than $3.5 billion and 38 banking offices across Colorado – to “reach beyond our current branch network” as well as better serve existing customers. “Coloradans will be able to open accounts on their mobile phones with a regional bank that puts Colorado first,” states David Gaydon, Avoka’s North American GM..
With regional HQ offices in Denver, Colorado; London, the UK; and Sydney, Australia, Avoka has raised $28 million in funding. Founded in 2002, the company is led by co-founder and CEO Philip Copeland.